The Curate.Health mobile application will be available on Apple iPhone and Android for anyone to use in November 2014. 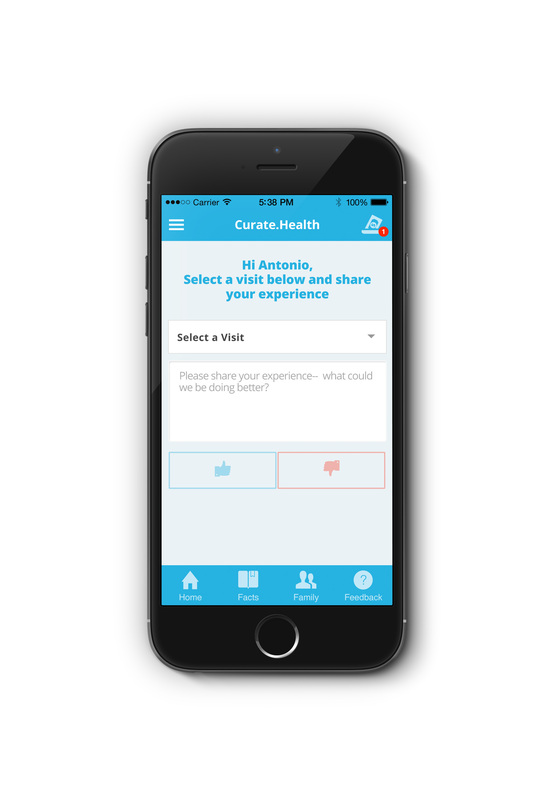 The Curate app will provide you with educational facts about your health care and give you the ability to provide feedback on any hospital experience. Curate.Health will keep your feedback confidential, communicate your concerns to the hospital and advocate on your behalf. If your hospital is a Curate client, you will receive personalized status updates, reminders and quick questions throughout your hospital and healthcare journey. As a patient, if you have any questions, please contact us.